Facebook founder has been working on an audacious initiative to provide free internet to people who haven’t yet received the benefits of the information superhighway. 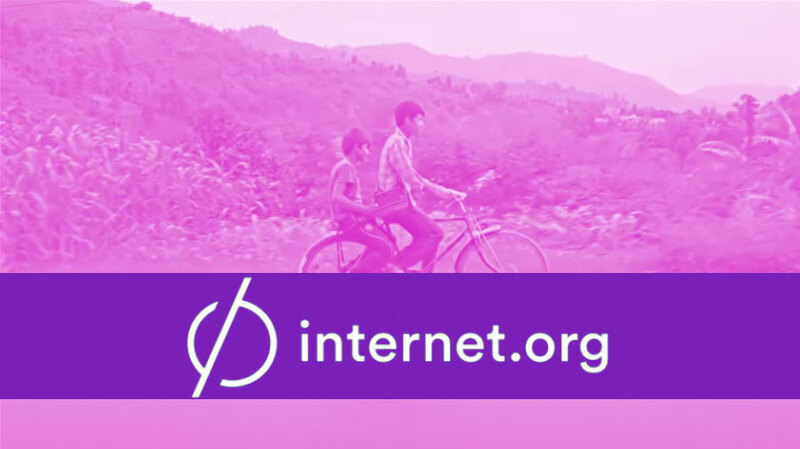 Internet.org was launched on August 20, 2013 and has till now provided services more than 150 million people total across Africa and Latin America. Now the biggest social network has introduced the service in India. Internet.org is in partnership with Facebook and six mobile phone companies, namely Samsung, Ericsson, MediaTek, Microsoft, Opera Software, and Qualcomm. It is one of the initiatives along with Google’s Project Loon and Space-Internet plans by Tesla founder Elon Musk. They intend to reach the last 3 Billion people untouched by the internet. 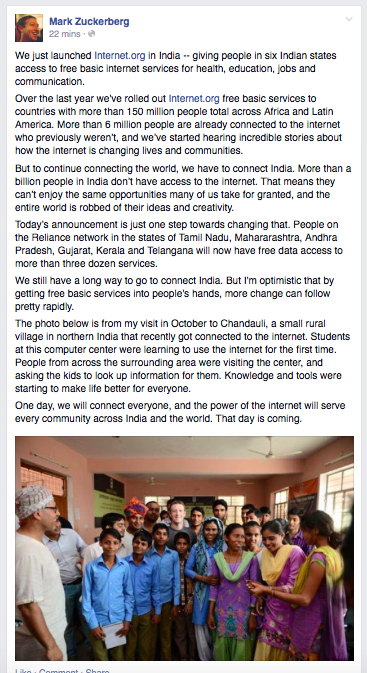 Mark Zuckerberg in a post on Facebook has announced the introduction of the initiative in India. The initiative will begin offering services on the Reliance network in the states of Tamil Nadu, Maharashtra, Andhra Pradesh, Gujarat, Kerala and Telangana. The users will now have free data access to more than three dozen services. Mr. Zuckerberg also hoped to one day connect everyone, and the power of the internet will serve every community across India and the world. He added that the day is coming soon. This initiative from Facebook is surely appreciable and will help empower the vulnerable communities in the world. Want to know more about Internet.org? Click here.